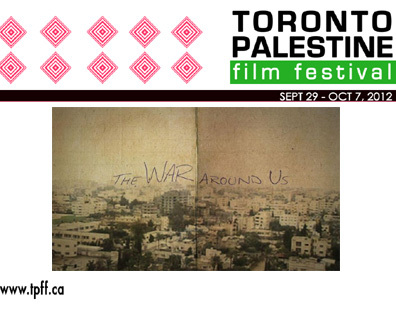 The 2012 Toronto Palestine Film Festival (TPFF) is finally set to hit theatres this weekend. Launched in 2008 to commemorate the 60th anniversary of al nakba, TPFF aims to showcase the vibrant cultural heritage, resilience, and collective identity of the Palestinian people through film, art, and other events. In five short years, against all the odds, TPFF has quickly emerged as one of the city’s premier film festival experiences. In a city with no shortage of noteworthy film festivals such as the Toronto International Film Festival (TIFF), the International Diaspora Film Festival (IDFF), and Hot Docs, it is TPFF’s community-based, activist roots that help distinguish it from many of its larger and more established counterparts. TPFF has also taken a few risks this year in order to push its own boundaries and provide audiences with the most satisfying experience possible. “We are opening with a documentary for the first time. Normally we have documentaries mid-week or sometimes for closing, so this is something new for us,” says Andrew Hugill, Accounting and Logistics Coordinator at TPFF and one of its founding members. Opening night at TPFF will feature the Canadian premiere of Abdallah Omeish’s award-winning documentary The War Around Us . 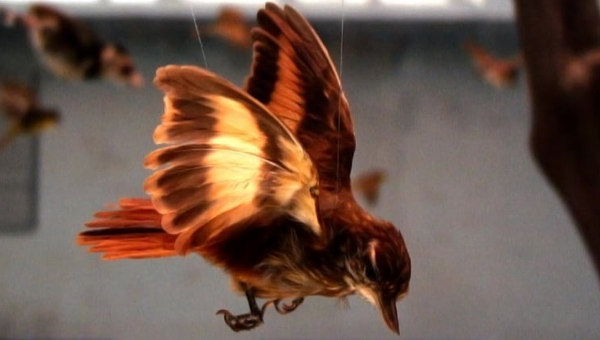 The film offers an intensely gripping first-hand account of the 2008-2009 Israeli military assault on the Gaza Strip through the lens of two Al Jazeera English journalists, Ayman Mohyeldin and Sherine Tadros – the only Western reporters on the ground at the time. Dubbed by Israel as Operation Cast Lead, the brutal, indiscriminate air and ground attack would go on to kill no less than 1,400 Palestinians in the span of just three weeks. The two journalists' exclusive coverage of the war proved decisive in exposing to the outside world the human toll of the attack on an already besieged and defenseless civilian population. Using news reports, never-before-seen personal footage, and candid testimonies from the two journalists themselves, the film manages to convey in graphic detail the utter sense of helplessness and despair inside Gaza once the bombs began to drop. Unforgettably horrific footage aired worldwide on Al Jazeera of dead and injured civilians, many of them young children, put lie to the dominant narrative echoed faithfully by the Western media that Israel had only been carrying out 'targeted', ‘surgical strikes' against 'terrorists'. In the film, Mohyeldin and Tadros show us that they are able to step outside of their familiar role as 'journalist' to speak first and foremost as witnesses, providing a deeply intimate portrait of who they are as individuals in the process. This one is definitely not to be missed. Omeish, the director, will also be in attendance for a Q & A following the screening. Beyond the Walls, by Ahmad Al Rahami, is another documentary to keep an eye out for this year. 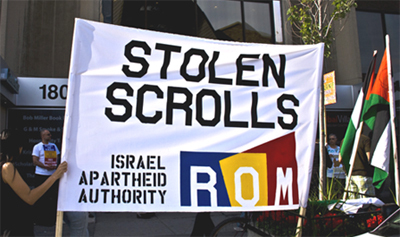 The film follows the story of seven former political prisoners, each of whom spent at least a decade or more locked up in Israeli prison. According to the film’s introduction, over 700,000 Palestinians have been imprisoned by Israel since the 1967 war. Using stylish animation sequences and personal interviews with the main subjects in order to drive the story forward, the film highlights the plight facing prisoners not only inside but, just as importantly, beyond the prison walls. For most of the prisoners here, the hardships of life in prison are simply replaced after release by many social, psychological, and financial challenges that are no less difficult to cope with. One of this year’s key programming highlights is the return of Arab World Perspectives – a night where the spotlight is placed on another Mid-East country. This year, TPFF focuses on Egypt with director Ahmad Abdalla’s award-winning drama Microphone. Set in beautiful Alexandria on the even of the youth-led revolution, the film captures the vibrant arts scene of Egypt’s second largest city. In addition to the films on offer, TPFF has also expanded in recent years to include a popular brunch called Sahtain!, a free art show showcasing the work of emerging local talent, and musical performances by internationally acclaimed Arab artists. 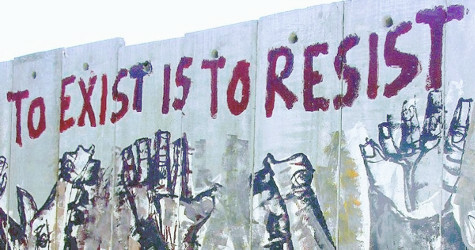 If TPFF manages to show us anything, it is the following simple message: despite Israel’s clear objective over the past 64 yeas to systematically destroy any meaningful expression of Palestinian identity, art, and culture, humanity always finds a way to prevail – we must not look away.